Most Omnipotent God, inaccurate time keeper, indefatigable panel of judges, Co debaters, Ojekoo. My name is Akuvi Aguedze, #ThatEweGirl the principal and only speaker who is for the motion "God is a feminist". Some few weeks ago we woke up... Sorry... I woke up to an interesting new topic that has gained the attention of social media users. This new topic... "FEMINISM" is actually an old topic, a very old topic, way older than almost all of including those championing it. It is a fight that has already been won in many ways. This brings me to the point where I show my gratitude to the early advocates because without them, I wouldn't have held a pen to pen this piece of opinion down. God is who Ewes call "Mawu", Gas call "Nyunm)", Akans call "Onyankopong" and Muslims call "Allah". He is known to be the creator of the universe and everything in it, including human beings; both males and females. Feminism is advocating for equity and equal rights for women politically, educationally, financially and socially. It seeks the equal treatment for both men and women. 1. Equal treatment: In the Bible, God treated men and women equally. 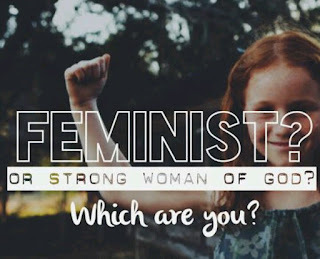 Yes, you may not find it written down in plain words but let's begin with Deuteronomy 22:5 and it says "women are not to wear men's clothing and men aren't to wear women's clothing" *singing* "right there feminism was there, right there a feminist was there" the second verse is in Deuteronomy 23:17 which says "no Israelite man or woman is to become a temple prostitute" *wondering* "eish so it is possible for men to be prostitutes too?" From these two verses and many others like the ten commandments, it is very obvious that God treated us equally, whether man or woman because we're all humans first. He first made laws for humanity, not for man and woman. From the above laws, if a man shouldn't do it, a woman shouldn't do it as well. Tell me if that ain't equal treatment. Co debaters, God is a feminist! 2. Equal opportunities: I believe that in the beginning, God created man and woman equally until they sinned against God and God punished them. He did not punish Eve and left Adam or punish Adam and left Eve (equal treatment). He punished Eve(woman) with submission to man alongside difficulty in childbirth (Genesis 3:16), and with that, God placed man above the woman. I believe He made man the head in order to make better decisions and choices than what the woman made which caused their downfall (let's face it, Eve's wrong decision to take the forbidden fruit caused humanity's downfall). And in that instance, man was given the power to rule not withstanding that the woman can rule too. Through the times, God has proven to man that women, could rule too and even rule better. Many times God gave equal opportunities to women, eg: Deborah and Jael, the women whose bravery won victory for Israel (Judges 4), Abigail whose intelligence saved many lives (1st Samuel 25), Esther's fight for the jews (book of Esther), Not forgetting Mary, Mother of Jesus and her vital role in salvation. Co debaters, God is a feminist! 3. Justice for all: Deuteronomy 22:13-29, oh God, you're Just! The verses in there, reveal the just attributes of God which qualifies Him as a feminist. In those verses it is seen that God is not against women as some fundamentalist Christians have made it seem. It is seen in the verses that any man who tried to bring false charges against a woman was to be punished. Verse 22 states that if man and woman are caught committing adultery, their both to be punished not just the woman. 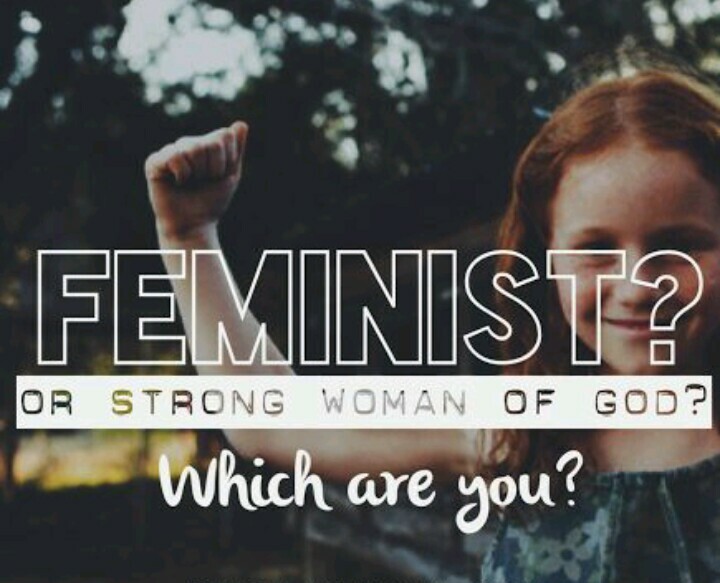 Co debaters, God is a feminist! In the gospels, we realize that the teachers of the law made some alterations to favor them because they were men and they ruled. That is how come Mary Magdalene was sentenced to death without the man she committed the crime with, but Jesus Christ came to her rescue. Tell me God is not a feminist. There are some scriptures in the new testament that seem to silence and belittle women. These are found in the letter of Paul to some people such as the Corinthians and Ephesians. Let me make it known to all who will be tempted to use such quotations to say God is against women that the letters Paul wrote were written address issues and curb unacceptable behaviors that posed as threats to the growth of the early church at the time. To my fellow women, never let anyone make you think that as a Christian woman, you can't dine with men. That is a big fat lie and whoever will tell you that is a white faced broad daylight liar! Submission is to your husband alone and humility is for humanity! Do you know the queen of Sheba? Do you know the proverbs 31 woman? (they're both rich women) Do you know why God referred to wisdom as a woman? Let my friend Akwasi Gyamfi tell you "God knows the power of the woman... god knows the woman trancends beyond the mediocre thinking of men... women need not force it down the throat of men... they merely live the arrangements of God... and what a wonder it is to silence your critics by your actions and achievements! God is some kind of feminist...😊"
And remember that, if it is a man's world, it is nothing without you! Don't be intimidated, you can reach greater heights than men have reached. Just do more actions, less talk because "facta non verba"
And if you find it difficult to call or think yourself a feminist like NanaYaa Siaw, you call yourself A STRONG WOMAN OF GOD!